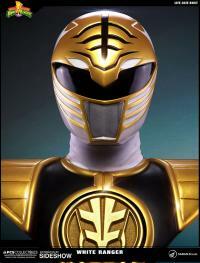 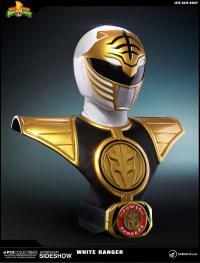 The Green Ranger was now a valuable member of the Rangers, but Tommy’s good fortune would not last. 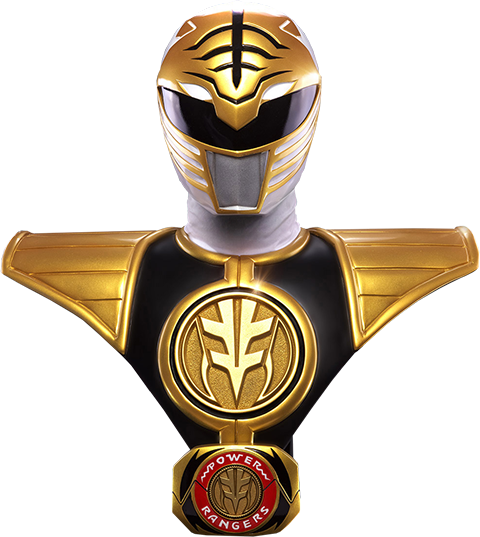 Rita had bestowed the Green Ranger mantle upon Tommy, and so too would she take it away, slowly draining his powers until they were no more! With his powers gone, Tommy secluded himself at a lakeside cabin to re-focus and gain perspective on his situation. 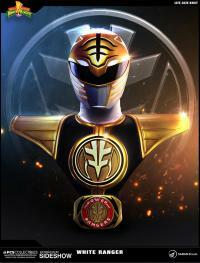 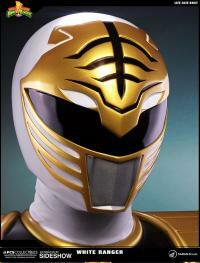 While Tommy was away, Zordon, aided by Alpha 5, began work on a new Ranger, one created from the White Light of Good. 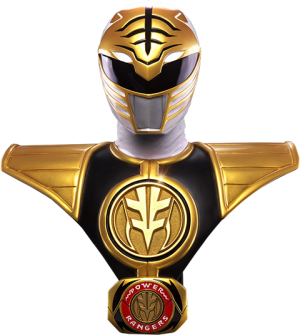 This new Ranger would be impervious to corruption by the forces of darkness, making Tommy the ideal candidate to wield its power. Zordon teleported Tommy back to the command center and bestowed upon him the power of the White Ranger. 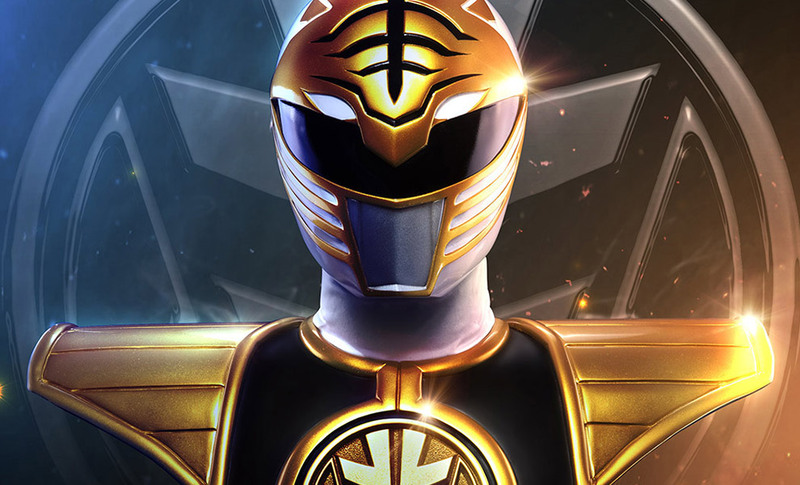 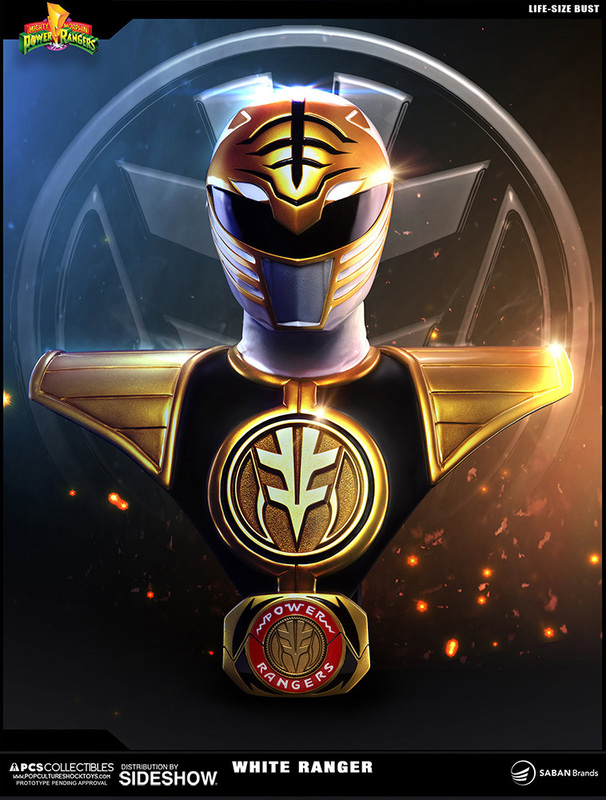 Armed with his talking saber, Saba, and the massive White Tigerzord, the White Ranger was dubbed the new leader of the Mighty Morphin’ Power Rangers! 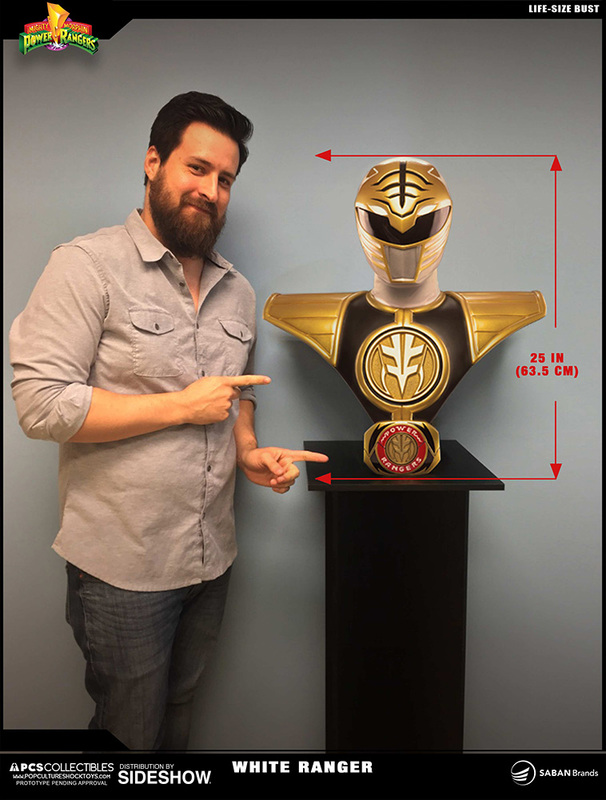 Pop Culture Shock Collectibles is proud to present the first in a line of 1:1 scale busts depicting the classic Power Rangers in all their Mighty Morphin’ glory! 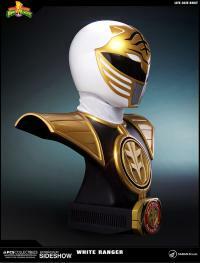 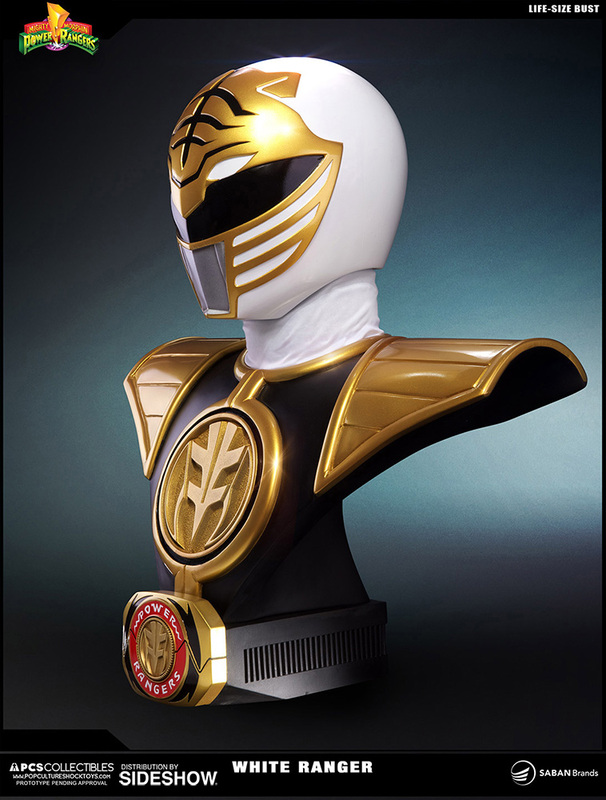 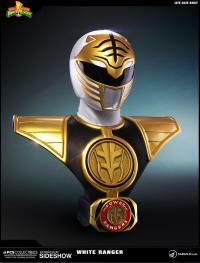 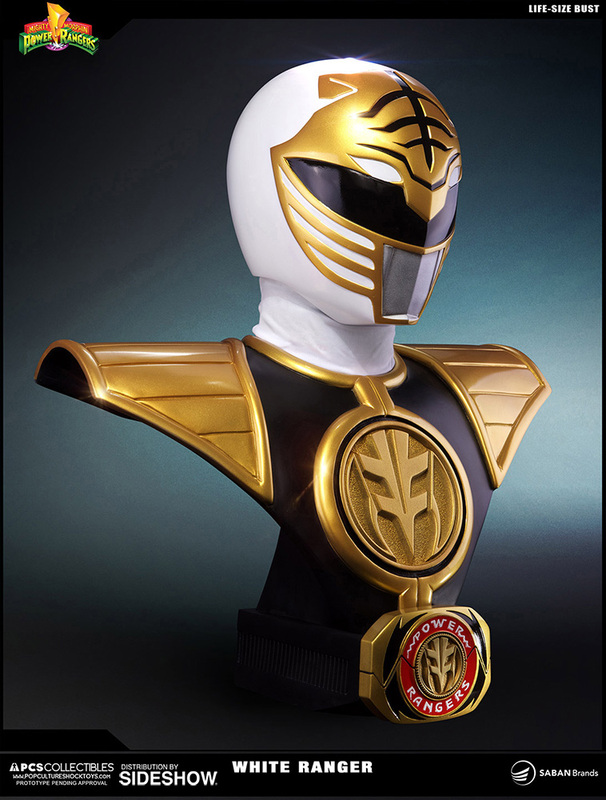 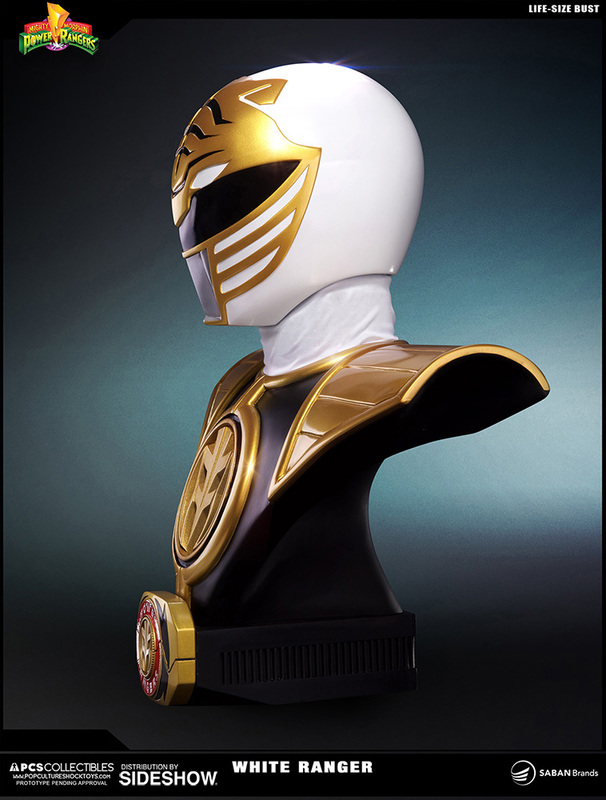 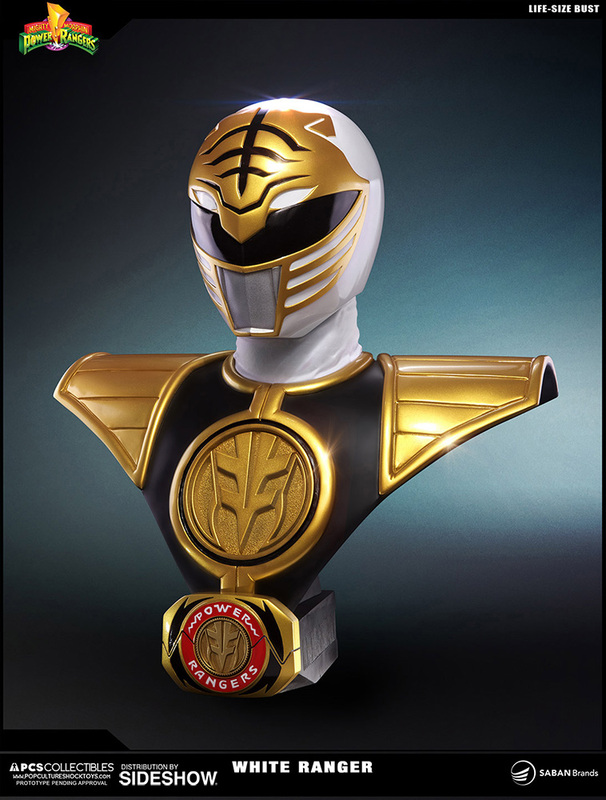 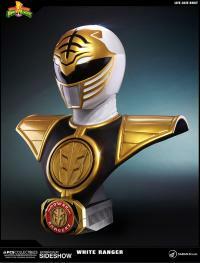 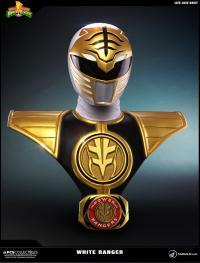 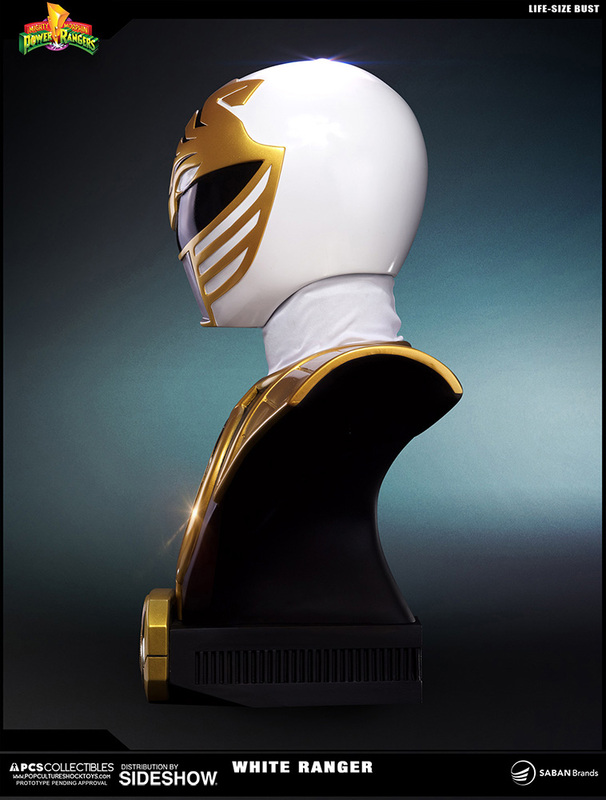 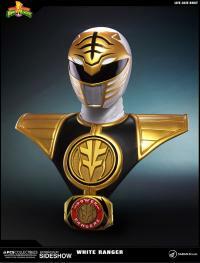 The White Ranger Life-Size Bust stands an impressive 25” tall and includes a signed certificate of authenticity.